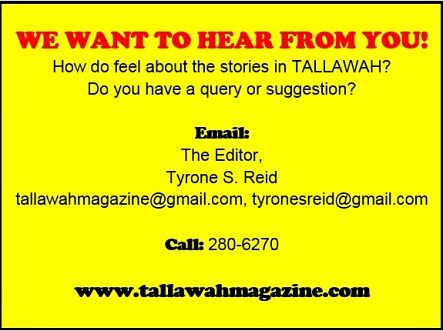 TALLAWAH Magazine: The Best of Jamaican Culture: TALLAWAH MOMENT: Shelly-Ann Fraser-Pryce -- track-and-field’s most colourful superstar? 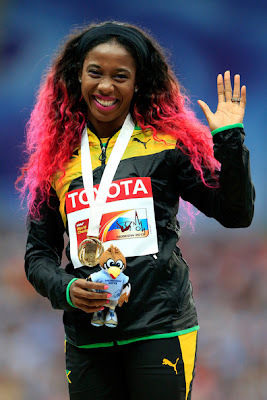 TALLAWAH MOMENT: Shelly-Ann Fraser-Pryce -- track-and-field’s most colourful superstar? SHOCK OF THE HUE: The superstar sprinter beams inside Moscow's Luzhniki Stadium. Call her a (golden) woman of colour. It seems sprint queen Shelly-Ann Fraser-Pryce can win, win, win for Team Jamaica and bring some vibrant flair to the spectacle. On Monday, the Pocket Rocket delivered a show-stopping gold medal performance in the Women’s 100M Final at the Moscow World Championships in Russia, sporting her national gear, of course, and waves of bouncy, curly tresses accented with (surprise, surprise!) bright pink strands. By all accounts, Fraser-Pryce’s smashing ’do made the occasion all the more memorable -- and secured terrific publicity for her Barbican-based store, which specializes in (what else?) fabulous, camera-ready hair.